Limpopo, South Africa: South Africa’s northernmost province, Limpopo, borders onto Mozambique, Zimbabwe and Botswana, making it the ideal entrance to Africa. 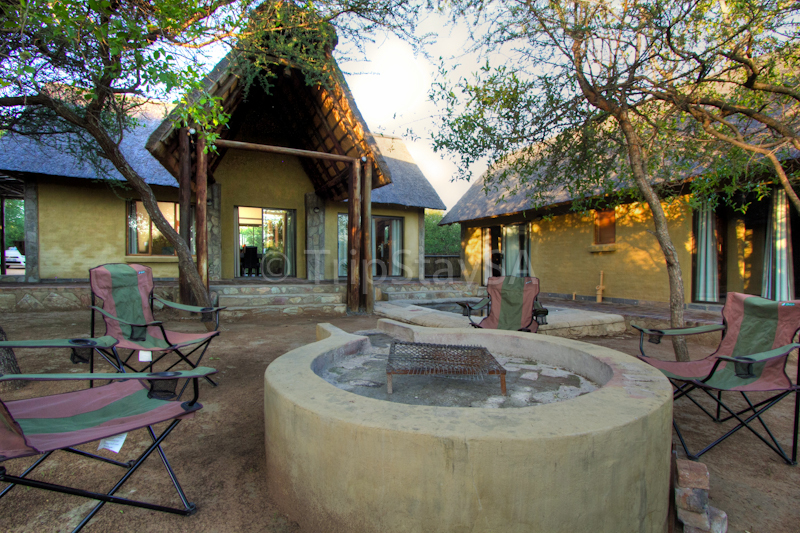 Mashovhela Lodge is a family friendly, award winning Eco-lodge offering an authentic Venda culture experience. 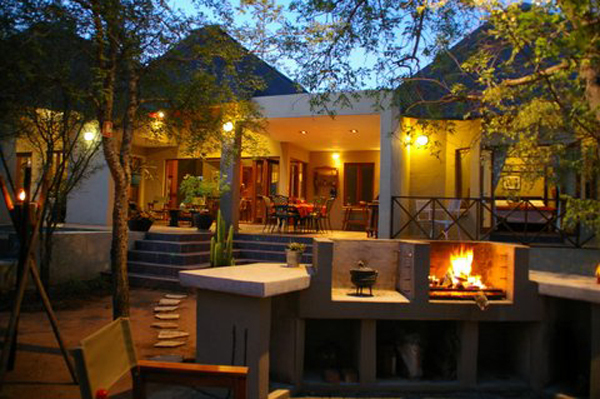 Zebra Lodge offers luxurious accommodation in a secluded estate in Hoedspruit. 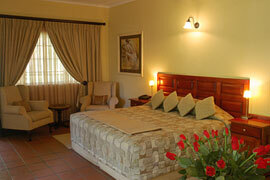 The self-catering accommodation is for six people making it ideal for a family vacation or groups. Marula Bush Lodge, a luxury self-catering bushveld retreat, nestles gently on the foot of the Drakensberg Mountain Escarpment. 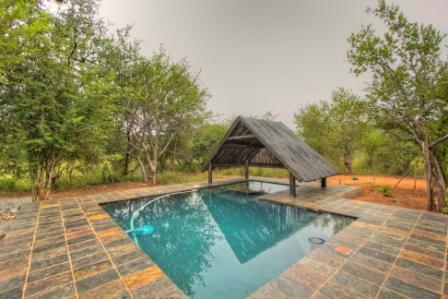 This beautiful private bush lodge is on Hoedspruit Wildlife Estate, only a few minutes from the quaint town of Hoedspruit. 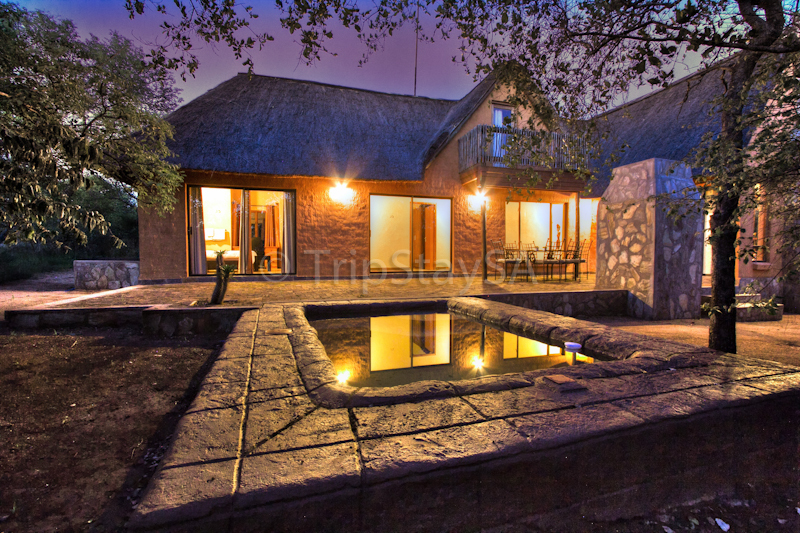 Bush View Lodge is home in the beautiful Hoedspruit Wildlife Estate, an exclusive and well-conserved part of the Lowveld bushveld in Limpopo.A lovely four-bedroom lodge with a rustic exterior and African-inspired interior promises a wonderful weekend escape and family holiday. Imagine cooking in the kitchen as you watch the impala stroll past your window or laughing over a glass of wine as the charismatic warthog snuffs and snorts as it digs up some roots. 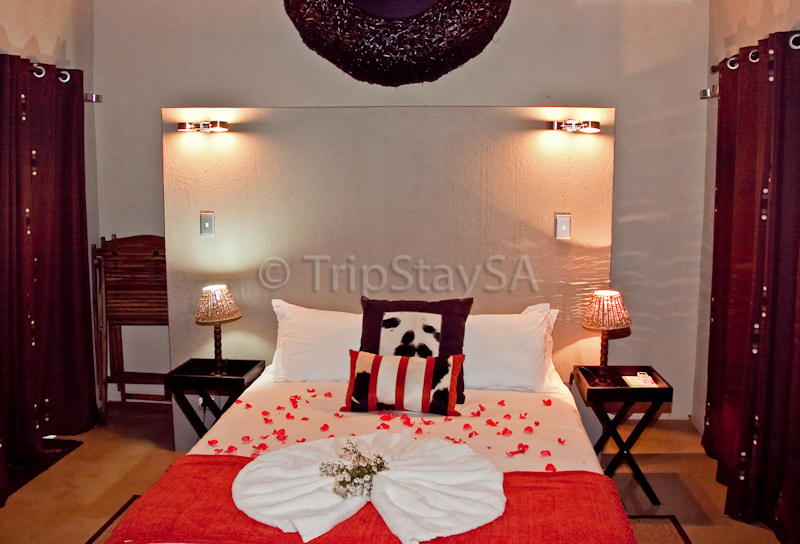 The Honey Badger Lodge is a romantic escape nestled in the shade of the trees in a private and sheltered area. 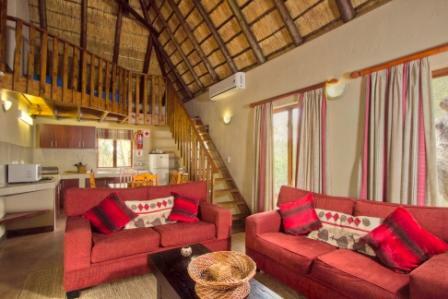 In an African romance, the interior is well furnished with leather, rustic wood, beams, soft carpeting and modern appliances to keep everyone happy.